The soccer (football) is very interesting kind of team sport which requires certain skills, knowledge and abilities from the players. There are many individual skills and team tactics that allow to play effectively the soccer and win the matches. 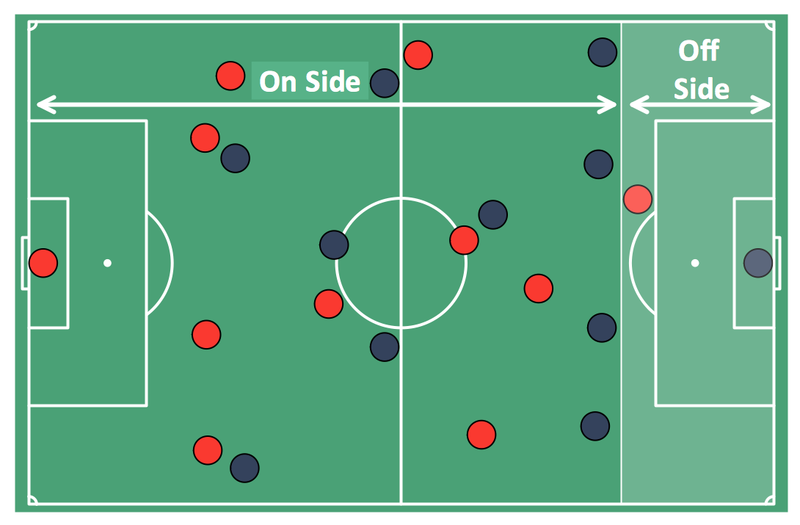 It’s very convenient to explain the offensive and defensive tactics using the visual drawings. If you need to do this more than once you have to choose an appropriate tool allows you to create and change the diagrams simply and quickly. ConceptDraw DIAGRAM extended with the Soccer Solution is the best choice for you. Add arrows or text labels if needed. The samples you see on this page were created in ConceptDraw DIAGRAM using the vector objects from the Soccer Solution libraries. They show the soccer (football) tactics. These samples demonstrate the solution's capabilities and the professional results you can achieve. An experienced user spent 10 minutes creating every of these samples. You can see the samples representing the 2014 FIFA World Cup schedules and tournament tables for each of eight groups. These samples was created in ConceptDraw DIAGRAM v12 using the “FIFA World Cup 2014 team flags”, “Soccer pictograms” and “Soccer silhouettes” libraries from the Soccer solution from the Sport area of ConceptDraw Solution Park. ConceptDraw Ice Hockey Solution for ConceptDraw DIAGRAM v12 delivers the "Ice Hockey Positions" library that contains predesigned objects for all ice hockey positions. A set of templates and samples demonstrates best practice of using this library. Explaining the soccer strategies and techniques is practically impossible without drawing a diagram. 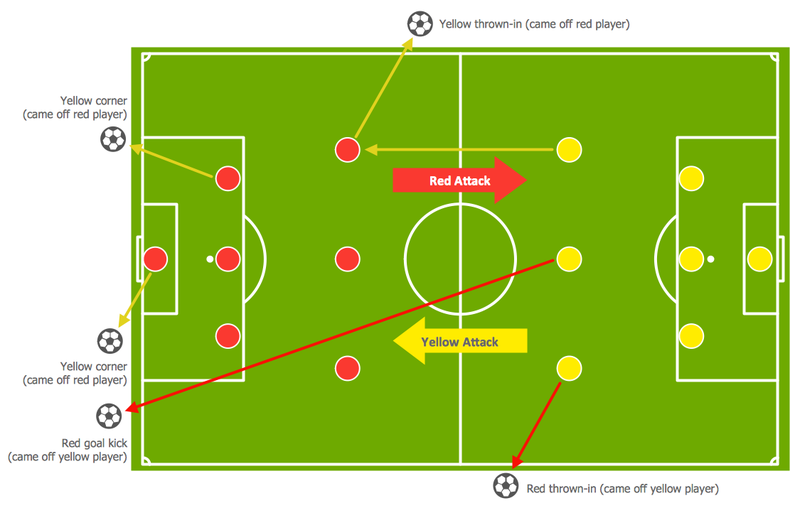 ConceptDraw DIAGRAM v12 diagramming and vector drawing software extended with Soccer solution from the Sport area of ConceptDraw Solution Park is a very convenient and useful tool for designing the soccer-related diagrams.